The Unlike Us #3 Conference Report is an overview of Unlike Us #3 Social Media: Design or Decline, held March 22nd – 23rd, 2013 in Amsterdam. The file functions both as a summary and as archive of the project. 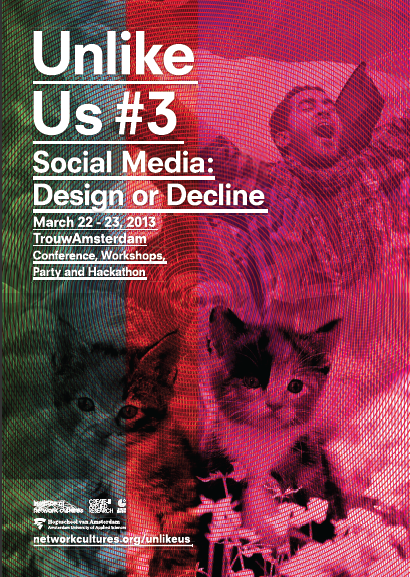 It consists of the key results, the conference program, all conference blogposts and many other (research) blogposts concerning the topic of ‘social media; design or decline’.